community in India as a treat on Diwali festival and has a long shelf-life too. 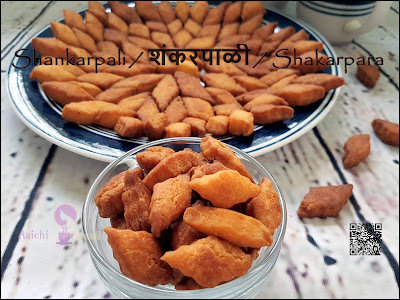 Diwali round the corner looking for Diwali faral and as we saw how to prepare homemade Chaklichi Bhajani and Chakli, now it's time to start with some sweets, so this crispy, crunchy and yet very soft and melt in mouth delicacy that is Shankarpali. It's a tried and tasted foolproof recipe. To Make it more soft and delicious, I have added milk powder, and it turns out very well. I always enjoy this sweet delicacy by dipping into hot tea, have you tried it before? 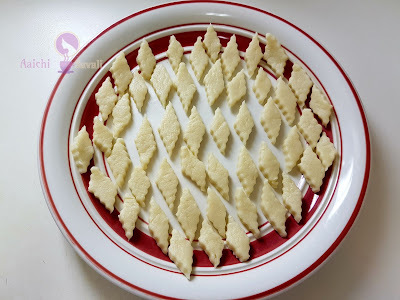 It tastes heavenly when dipped in a hot tea and it is my all time favorite tea time snack. So let's give it a try. In a bowl add ½ cup milk, ½ cup powdered sugar mix well till sugar gets dissolved in milk. 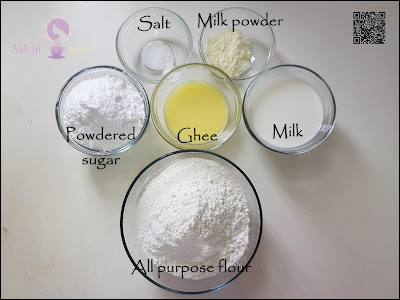 add 2 cups of maida, pinch of salt and milk powder, mix all well. 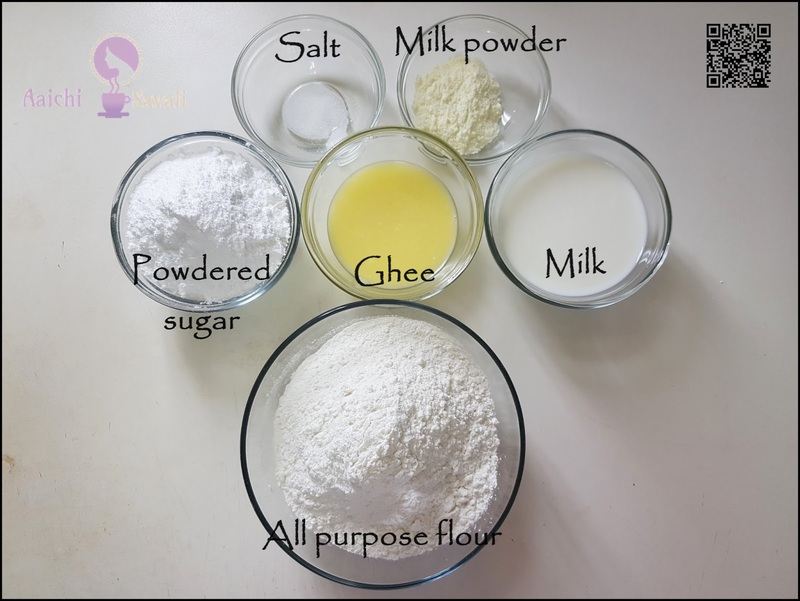 Now, into mixed flour add molten ghee, and mix this ghee into flour very well. Add milk and sugar mixture to the flour slowly and keep mixing to form a slightly firm yet smooth dough. Cover and set aside for at least 1 hour. After 1 hour dust the working surface with flour, take a some dough portion and roll the dough into thick circle. Use a sharp knife or a pizza cutter to cut into 1/2" width long horizontal strips. Cut these strips vertically so that you achieve diamond cuts. Remove each cut piece and place on a plate so that you can drop them easily into the hot oil while deep frying. Deep fry till they attain a golden brown shade.Remove the finished shakarpali and place on an absorbant paper. Once cool, place them in an airtight container. Here, sweet, crispy and mouth melting Shankarpali is ready to serve. Enjoy!!! 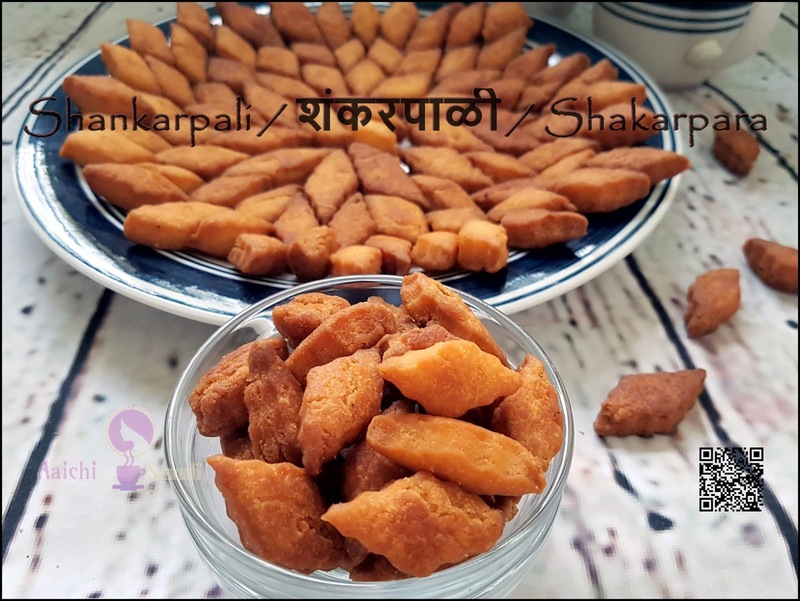 Addition of milk powder makes Shankarpali very crispy, melt in mouth and layered. If dough is too soft then add more flour and If dough is too stiff, add milk or water and knead to make soft dough. Roll shankarpali little bit thicker for delicious bites. 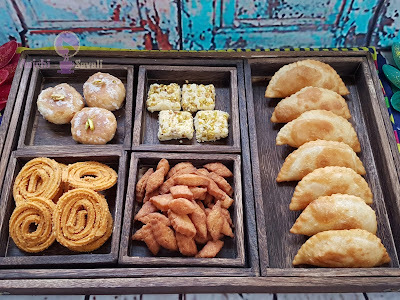 If you want to avoid deep fried oil extra calories, then you can bake Shankarpali by preheating the oven at 180 C for 10 minutes and bake for 15-18 minutes. They remains good for at least two weeks. 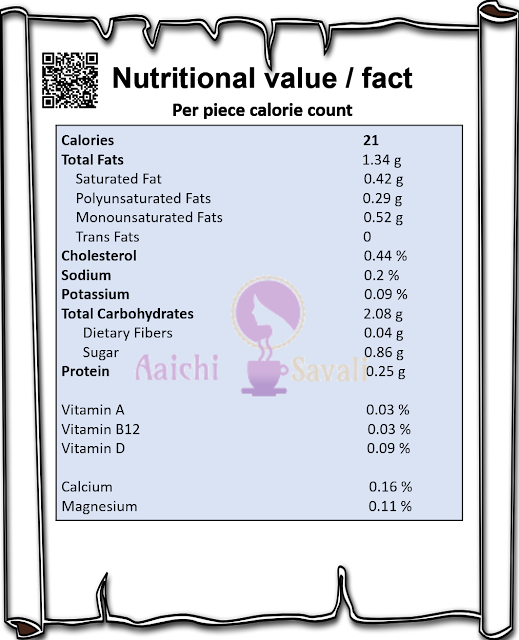 Per serving contains 21 calories, along with carbohydrates - 2.08 g, fats - 1.34 g, proteins - 0.25 g.
It's good to eat Shankarpali or Sweet diamonds as a snacks. Am delighted that you found me and now I have found you! 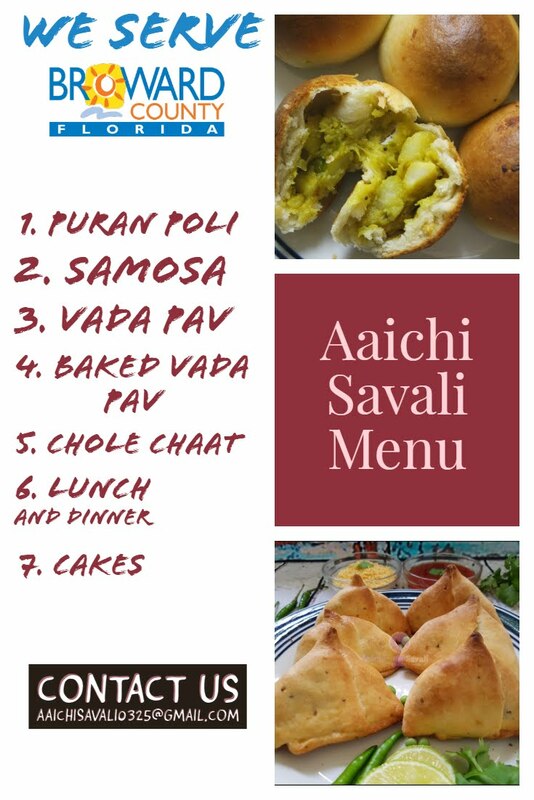 I am good at savoury cooking, but a little uncertain on the mithai - I shall be researching your recipes!!! Shubh Deepavali!!! Thank you so much for your kind words and appreciation. Shubh Deepavali to you and your family!! !